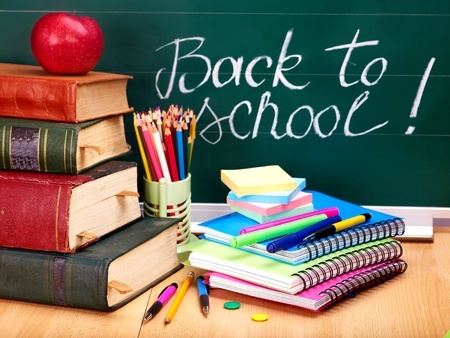 The Summer Break is coming to a close and it’s back to school time, Beaufort County has a lot of great additions this upcoming school year the opening of a new high school in Bluffton, South Carolina! Bluffton Residents have witnessed how much our small town has grown throughout the years with the all the addition of new parkways and flyovers, and a multitude of new home communities! Growing up here in Bluffton and remembering how the only high school in that serviced the area was only Hilton Head High. That of course was until the birth of Bluffton High School the home of the Bobcats in 2004. Now look just 12 years later with all the exceptional population growth of Bluffton and development we have a second high school to open in our community on August 15th. From 2001 to 2010 Bluffton is known today as one of the fastest growing municipality in South Carolina from 2001 to 2010, topping the charts on a national scale, and also from 2013 to 2014. With the opening of the New May River High School now H.E. McCracken Middle School will now return to service students from grades 6th to 8th. In addition to McCracken Middle and Bluffton Middle there is also the River Ridge Academy that opened in fall of 2015 which services students in grades Pre-k to 8th grade. So as the students head back to school and parents are out shopping we decided to do a Back to School giveaway to help with some extra school supplies. With the help of The Bannon Law Group and Kelley Sullivan of Bank South Mortgage we have been able to fill 5 containers with school supplies along with a gift card to area restaurants up to $25.00. 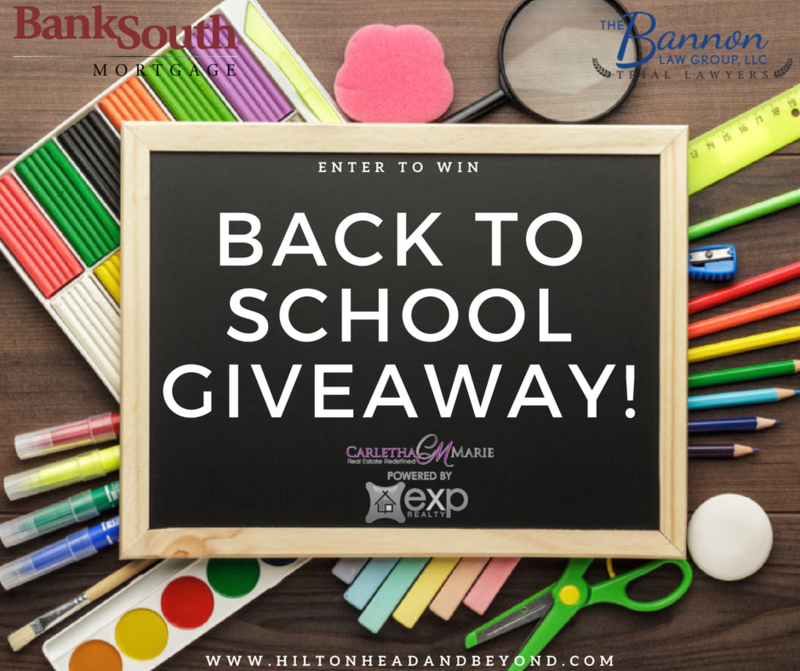 The rules to enter are simple just like our Facebook Page The Prestige Real Estate Professionals and share the back to school giveaway link and you will be entered. For information on Bluffton school start times you can visit the Beaufort School District website. 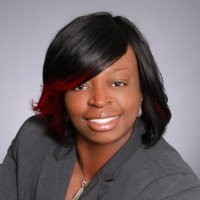 To Search Homes by School Zone Contact Carletha with eXp Realty Hilton Head today at 843-321-9317 or 843-227-0054. Special Thanks to Jim & Meredith Bannon with Bannon Law Group and Kelley Sullivan at Bank -South Mortgage who generously helped with donations of supplies and gift cards for our back to school giveaway.